Clean more, using less water, in no time at all. 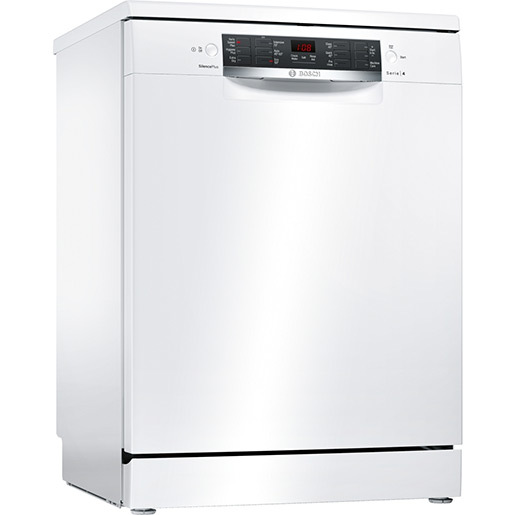 With this Bosch dishwasher, you save time, energy and money after each meal. As well as saving water, the washer runs quietly and effectively. Use foldable plate racks, 3-stage Rackmatic system and VarioFlex basket to load up to 13 place settings. The heat exchange drying system saves energy, and is also reassuringly hygienic. You save time, energy and money.